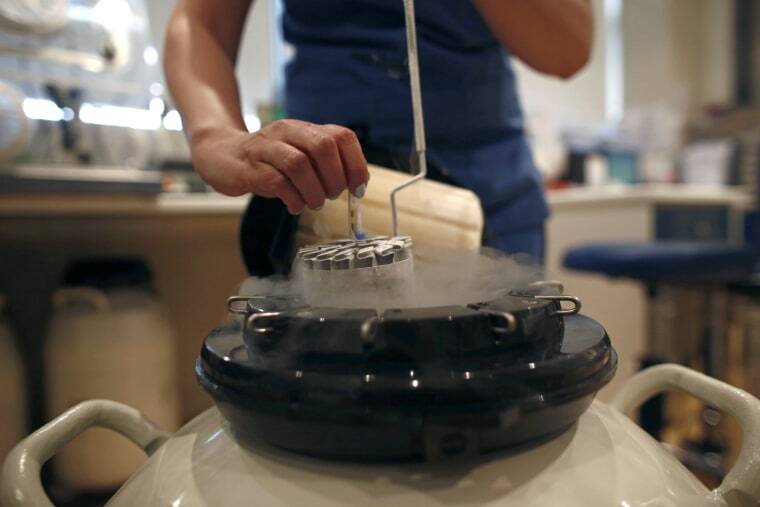 A California fertility clinic confirmed Sunday that a liquid nitrogen tank containing thousands of eggs and embryos failed, potentially affecting hundreds of patients. The failure at Pacific Fertility Center in San Francisco, which was first reported by The Washington Post, came days after an unrelated malfunction at another fertility clinic in Ohio. A clinic spokesman, Tom Becker, confirmed the story by The Post, which reported that the clinic began notifying 400 patients on Saturday who had several thousand eggs and embryos stored in a tank that malfunctioned on March 4. In a statement Sunday night, the center said the malfunction was brief and attributed it to a loss of liquid nitrogen. "The vast majority of the eggs and embryos in the lab were unaffected, and the facility is operating securely," the statement said. "As soon as the issue was discovered, our most senior embryologists took immediate action to transfer those tissues from the affected equipment to a new piece of equipment." The statement did not say whether the error was mechanical or was caused by a clinic worker, nor did it say how many eggs and embryos were damaged. Independent experts were conducting a full investigation, and all clinic equipment had been inspected, the statement said, adding: "We are truly sorry this happened and for the anxiety that this will surely cause." In Cleveland, officials at the University Hospitals Fertility Center said the failure there caused the temperature to rise inside the area where tissue was stored, possibly damaging 2,100 eggs and embryos belonging to more than 600 families. A class-action lawsuit filed Sunday called the failure — the cause of which has not yet been identified — "gross negligence and an utter breach of trust." Amber and Elliott Ash, a couple who had an embryo in storage at the facility, filed the suit. In a statement Sunday, the hospital said it understood why some might sue. "Any lawsuits being filed will have no bearing on the independent review being conducted or our determination to help patients who have suffered this loss," the statement said. The American Society for Reproductive Medicine said the failure in Cleveland was the first malfunction of its kind — even as the popularity of egg freezing has risen among young women seeking to preserve their fertility.